Core i9-7900x Overclocked to 6.01Ghz, New World Record! Home News Core i9-7900x Overclocked to 6.01Ghz, New World Record. Recently Overclocker SOFOS1990 shocked everyone when he overclocked the Core i9-7900x to 6.01 Ghz and the user achieved a huge record of 12189.52 points, this Is the highest single processor record ever made. 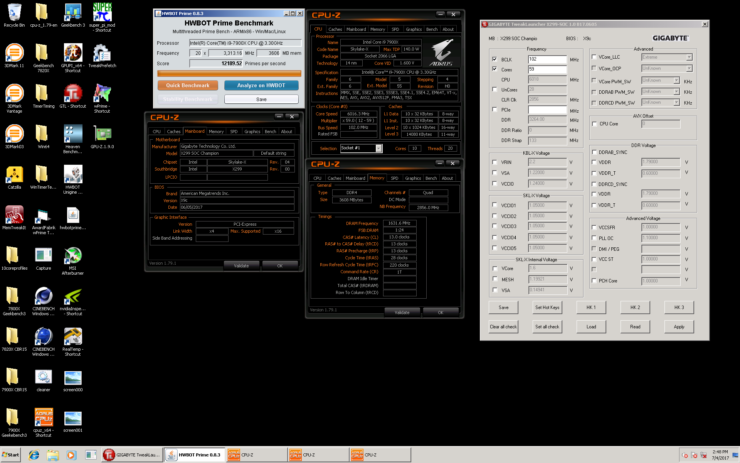 He used GIGABYTE X299 SOC Champion and some other equipment as well. All attempts were made under LN2 cooling, the previous record was set by Der8auer when he was able to overclock it till 5929 Mhz. Let’s see if there Is anyone else who Is able to beat this record, we expect Der8auer to beat it again. Core i9-7900x Specs and Release date! AMD RYZEN 7 1800X CPU FEATURES!